As the years have gone by, the lines of what makes country music country have been blurred. The sounds of steel guitar and twang-filled heartbreak have been replaced by autotuned themes of bromance. For country music purist, it would be easy to lose hope in the future of the genre. If that group includes you find yourself losing hope, I have the cure. 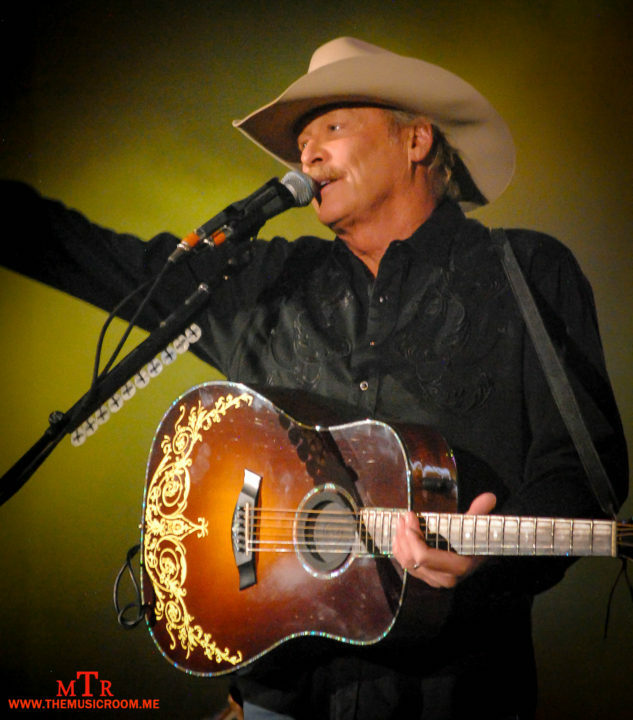 Find out where Alan Jackson is playing and buy a ticket. An evening with the country music icon will assure you that country music is alive and well. 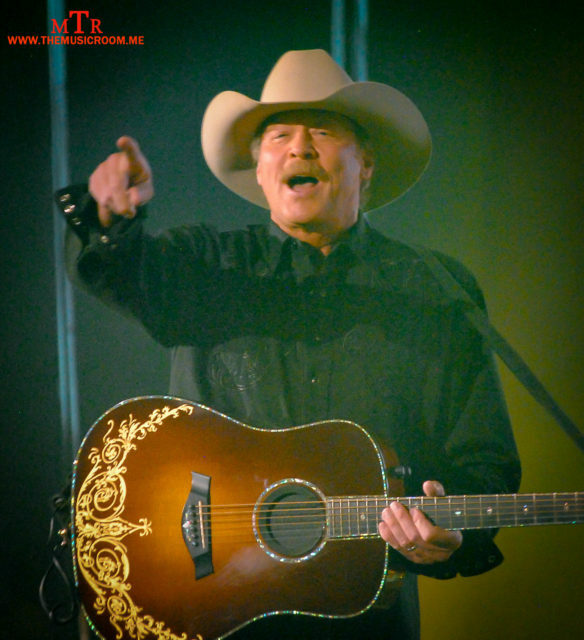 After 35 years in the business, Alan Jackson has created a legacy filled with 35 number one singles, 9 multi-platinum records, numerous awards, and accolades…including a recent induction into the Country Music Hall of Fame. Somehow the icon managed to pack his whole amazing career into one evening, much to the delight of the country music faithful of Dayton, OH. Jackson and his band started the night off with his hit, “Gone Country,” and from there it was classic song after another. The highlights of the night included Jackson’s first number one song, “Here in the Real World,” and the Hank Willams Jr. cover of “The Bluesman” from Jackon’s 1999 covers record, “Under the Influence.” During the course of the night, the legend only played one new song. The cut, “The Older I Get” is a retrospective look back that fit in perfectly with the classic-filled set. Jackson told the crowd that the song would be included on an upcoming album….if he would just get back in the studio and finish it. Let’s hope he does so and fast. As good…make that as great as Alan Jackson is, that really doesn’t matter if there is no one listening. One thing was made very clear in Dayton, OH on Friday night and that there are still people listening. ..lots and lots of people. The Nutter Center on the campus of Wright State University was packed full to capacity of country fans young and old to experience the chance to see one of country music’s greatest entertainers ever. Not only did I walk out of the Nutter having seen an amazing show, I walked out with a renewed confidence knowing that country music is alive and well. 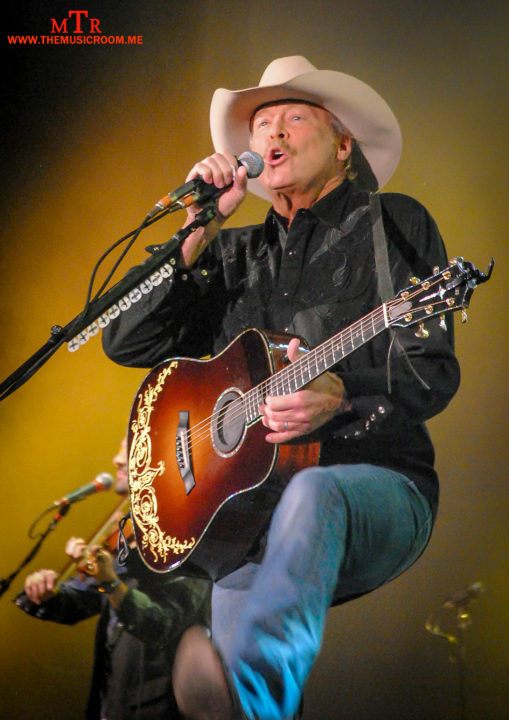 In fact, every night that Alan Jackson takes the stage in any city, and with every song that he sings, the heartbeat of country music gets stronger and stronger. Fads will come and go, but Alan Jackson has stood the test of time and shows no sign of stopping anytime soon. See our full photo gallery from the show here!